If you purchased a new laptop and you do not have much technical knowledge, how can you identify the USB 3.0 port on your device, so that you get better speeds when you copy or move data? 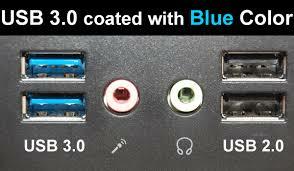 To make use of USB 3.0, you should identify the USB 3.0 port on your laptop. Generally, most of the Windows laptops come with one USB 3.0 port and one or two USB 2.0 ports. USB 3.0 was launched back in 2008. This new edition has more functions and better features included in the port. Although it looks just like a simple data cable port, it actually makes a lot more things run in the background. USB 3.0 started getting popular right after the launch. Mainly laptop manufacturers acquired this technology to provide more speed. 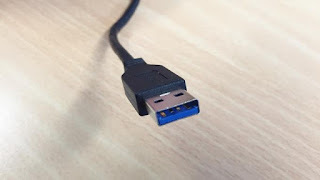 If the laptop manufacturer follows the official guidelines, then the USB 3.0 port should have blue color inside the port whereas USB 2.0 has either black or white inside the port. It can happen with both the ‘male’ as well as the ‘female’ port. The most notable difference is speed. USB 3.0 can transfer data at up to 625MBps. However, you can find ten times less speed while using USB 2.0. But, the problem is that it depends on the data cable that you are using and the device where you are transferring your data. Another difference is related to power usage. USB 2.0 can consume up to 500 mA power when USB 3.0 can consume up to 900 mA power. Open Control Panel>Device Manager> and search for Universal Serial bus controllers (it might at the end of the list). open the dropdown list and Look for any item that has USB 3.0 in the title. Insert any device check whether the property of the bus show any response. If yes then that your USB 3.0 Port.